Another new blogger template Stylify Blogger Template,only for our reader and yes it's completely free.As we all know blogger doesn't provide such a huge collection of theme for their user as like wordpress so it's been hard to make a professional looking theme for our blog.Due to this lack of theme we need not either have some web designing skills or have to pay money to hire a web designer,which need a huge amount of money.So here we're providing this template.This blogger template is desigened and customized according to the owners of bloggers , all errors or bugs are resolved.So feel free to use it for your comercial or noncomercial purpose. Page Speed: According to Google Page Speed Analysis the homepage of this theme got an overall Page Speed Score of 90 (out of 100) which is a perfect score for a site hosted at blogger. Threaded Comment: we have inserted the Threaded comment that we are using in this Blog. Moreover, you can customize its style according to your desire needs. Three Column Footer and Sub Footer: In this theme, we have used two footers so you can easily list your all significant widgets in first footer while the credit back links can be displayed in the second one. 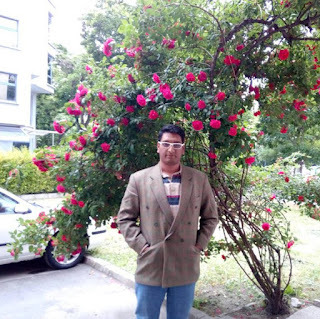 Read More:We also have the blogger read more feature in it. Page Peel Effect:We also have page peel effect in it. Digital Clock:It's most attractive feature,Digital Clock. 1. Download the template from this blog and save the zip file. 2. Go to Blogger dashboard. 4. Now click Edit Html tab. 5. Before editing your template, you may want to save a copy of it. Download Full Template.See the below image. 6. 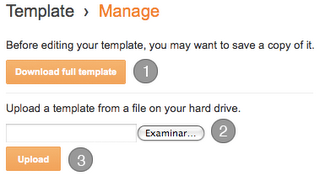 Upload a template from a file on your hard drive (.xml file extracted): click Choose file option button. earliest.Do You faced any problem?Please feel free to leave your comments and opinions about this showcase using the form below. This would really help a lot of bloggers in fine tuning their blogs.